Product information "K2 C9188 Stopend Outlet (Right)"
Part of the K2 Conservatory Roof System! These tough, elegant original stopend outlets are manufactured by K2 for use with some of their conservatory guttering systems. 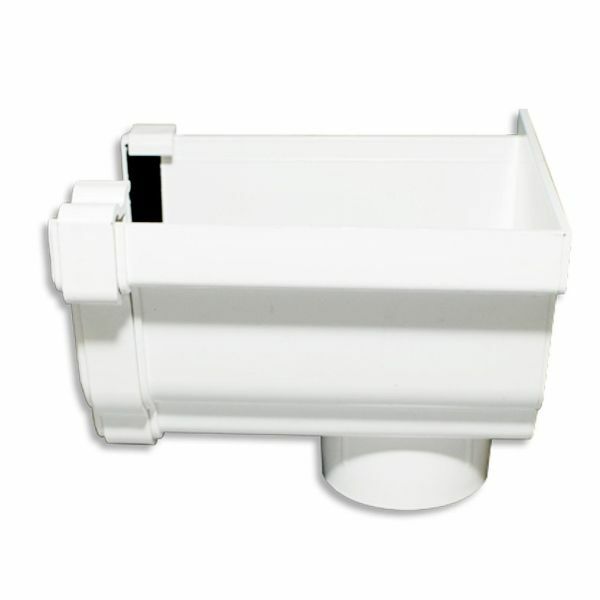 Available for the left or right end of guttering, they fit the K2 Ogee profile guttering and feature an outlet to which the downpipes are fitted. To be certain that this stopend outlet is compatible with your guttering please check the following dimensions. It's easy to fit a K2 Gutter Stopend Outlet. The stopend outlet includes a C8067 gutter clip and C8066 gutter gasket, which are used to secure the stopend outlet onto the gutter. Release the front of the clip from the stopend and push the stopend over the end of the gutter, while making sure that the gutter is tucked behind the hook on the rear end of the gutter clip. Then pull the front of the gutter clip over the stopend to trap the gutter securely. Related links to "K2 C9188 Stopend Outlet (Right)"
Customer review for "K2 C9188 Stopend Outlet (Right)"